The 19-year-old broke into the Estudiantes first team last season, making seven appearances. He has played for Argentina under-20s and featured at the Under-20 World Cup, playing against eventual winners England in the group stages. 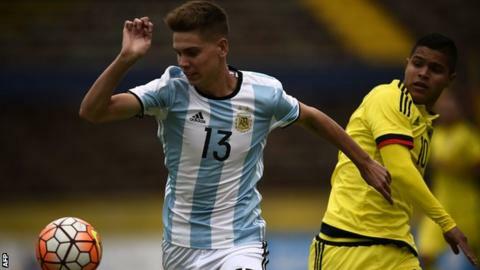 Foyth is Spurs' third signing of the summer, after the arrivals of goalkeeper Paulo Gazzaniga and defender Davinson Sanchez.